Carys couture closet is featured in Tiffanys web series, but a startling revelation is made about Mark. Elsewhere, Brandi deals with fallout from her strip-club antics, and her behavior is discussed over lunch. Later, Brandi discovers a family secret. Stephanie and Brandi travel to Oklahoma to visit Stephanies parents. Meanwhile, Cary tries to forge a friendship with Tiffany; Marie throws a posh cocktail bash, but a red-faced revelation surfaces; and Tiffanys bid to play peacemaker backfires. Tiffany fails in her bid to play peacemaker, as she and LeeAnne end up in a mighty conflict. Elsewhere, Stephanie receives major bling to commemorate her wedding anniversary, and Brandi hosts a barbecue for her estranged grandfather. Marie is confronted by LeeAnne and Tiffany for spreading gossip. Elsewhere, Travis micromanages plans to revamp a bedroom; Mark tries to attract business with sultry photos of Cary; and Brandi corners Bryan for being a no-show at a barbecue. Tiffany throws a charity concert in her bid to cement her Dallas standing. Elsewhere, traumatic news shakes Brandi, LeeAnne and Stephanie try to mend differences, and Carys apprehension about LeeAnne grows stronger at a Gothic-theme bash. Stephanie struggles when Travis attempts to take control of his birthday planning. Elsewhere, Brandi and LeeAnne try to find common ground; Cary fumes over Marks overspending on gifts; and a boozy Brandi invites all to a weekend getaway. A getaway weekend finds the ladies heading to Brandi and Stephanies lake house in Austin. 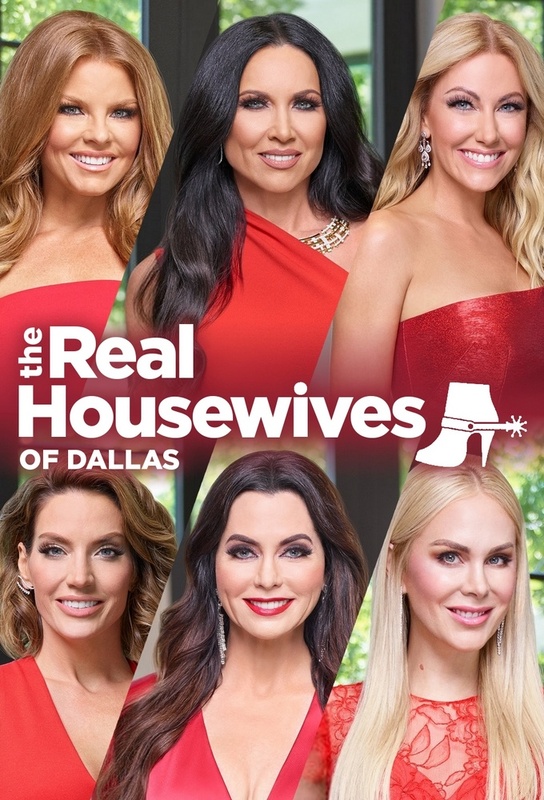 Here, a red-faced secret from LeeAnnes past surfaces; a boozy Brandi showcases her acrobatic skills; a heated confrontation involves Cary, Stephanie and LeeAnne. Stephanie hosts a bash, an all-day drinking extravaganza celebrating a golf tournament. Also: Tiffany gets a lead on a new home; LeeAnne explores a new career; and Cary and LeeAnne battle at Stephanies party, fracturing the group. The Season 1 finale. A reunion edition features Brandi revealing a painful secret about her marriage, Cary and Mark cornering LeeAnne about a scandalous rumor, and Tiffany addressing allegations about her past. Also: details about a heated Austin evening.